Yarn Vault @ the Downtown Mall: Want to Try Yarn Vault Yarn Cloud Yarn for Free!!! Here is How. 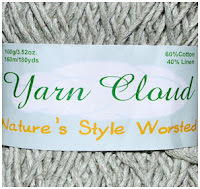 Want to Try Yarn Vault Yarn Cloud Yarn for Free!!! Here is How. To help spread the word about this wonderful yarn I am hosting a blog giveaway! The prize is 5 skeins of assorted Yarn Cloud yarn, a $50 value. 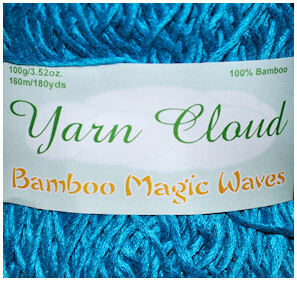 Included will be one skein of Natures Style Worsted, Bamboo, Charmed, Soft Spell and Magic Waves. Leave a comment before 8:00 Am 10 June to enter. Winner will be selected by a random number generator and results posted by 12:00 pm. Looks wonderful, and good yardage, too! I love the softness of Bamboo. 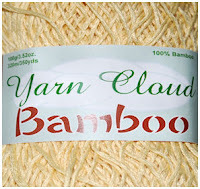 I love knitting with bamboo or bamboo blends. The yarn is so soft. Thanks for giving us a chance to try this yarn. Can't wait to use some to crochet with since we discovered I cab crochet again! Thanks for helping me with that this weekend! That looks really soft and squishy! The scarf that I started to make with The Yarn Cloud "Bamboo" is beautiful & very soft...Love the dark turquoise color! The colors are lovely-can't wait to see them in person! 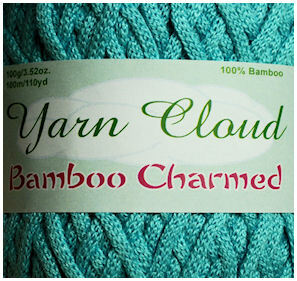 I just bought my first bamboo yarn - would love some more ;) It really is so soft! In my 30+ years of knitting, I've never heard of this yarn. It looks lovely! A Ravelry link sent me here. That yarn looks really soft. Ooh, I love bamboo too, and trying new yarns. That blue Magic Waves looks especially silky. Thanks for a fun giveaway! The yarn looks yummy squishy. Thank you for hosting a give away. Let's try again, so I'm actually a person, instead of unrecognizable numbers! Comment #2 is mine: The yarn looks beautiful, and has a good # of yards. I love the softness of bamboo. 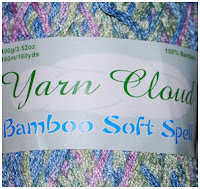 I have 3 skeins of the bamboo cloud waiting to be woven into a smoothy scarf. It is wonderful! 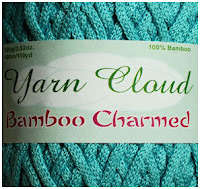 I really want to try bamboo yarn. We bought bamboo sheets and towels and shirts for hubby. Now I want to knit with it!!!! Maybe a nice summer shawl or a tee, thinking "Cherry Bomb" from Big Girl KNits. Great for summer or with a jacket for fall or work. Karen aka purplepenguin on Ravelry. Thanks for the giveaway. Can't wait to try this yarn. I've never tried bamboo yarn before (it is hard to get yarn here). They all look gorgeous. The yarn looks great Taryn! I cant wait to try it! Oh my goodness! That would be a dream! Fabulous yarn! I love bamboo and these colors are great. Those look beautiful. The Bamboo Elegant that I am playing with now is very soft and smooshy. Can't wait to try more types. A SAMPLER is a great idea! Having seen the yarn in person, I know all of them feel great! PS - I had to go "anonymous" because it would not take me any other way. 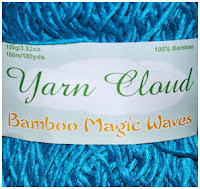 I just love the softness of bamboo!! Its kind of a dichotomy too, its one of the strongest building materials available.. and a very sturdy fiber for the pliability it provides.. I would love to win this yarn!! ME PLEASE!!!! I love bamboo. I would love to try this yarn!! Oh wow that looks so nice! I would love to give it a try! That is beautiful yarn! Thanks for giving me a chance to win some. I Love Bamboo yarn! What a great giveaway! I would love to try these yarns. Wow great giveaway!I would love to try some bamboo. I am just starting to try bamboo. Maybe it's because it is summer-time. Hope I win.